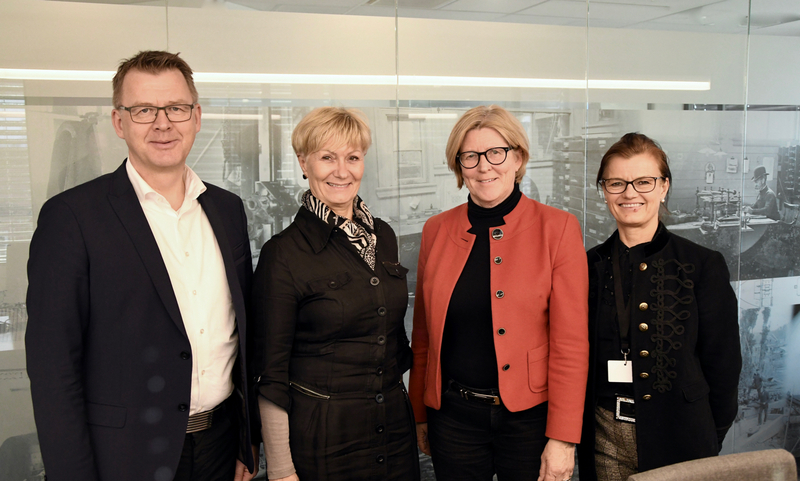 Cluster Manager Anne-Grete Ellingsen gave the politicians a presentation of both NODE and NODE’s top priority in 2014; Sørlandslab. 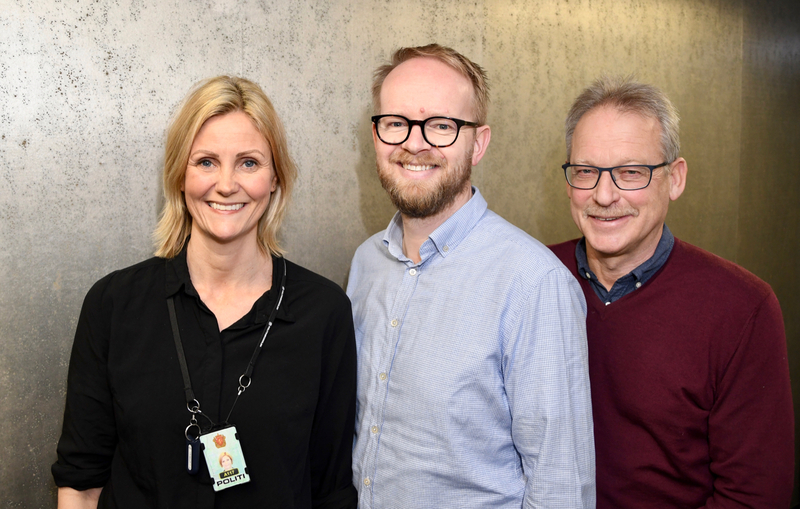 – NODE-companies are committed to spend more than NOK 50 million in research and testing at a lab that is not yet built. That says a lot about how important this lab is for the oil and gas industry in our region and in Norway in general. We know where to build the lab and we will soon know what to put into it. All we need is NOK 100 million to buy the right equipment, said Ellingsen. Unsurprisingly, Pollestad and his fellow committee members made no promises, but said they understood the importance of the lab. 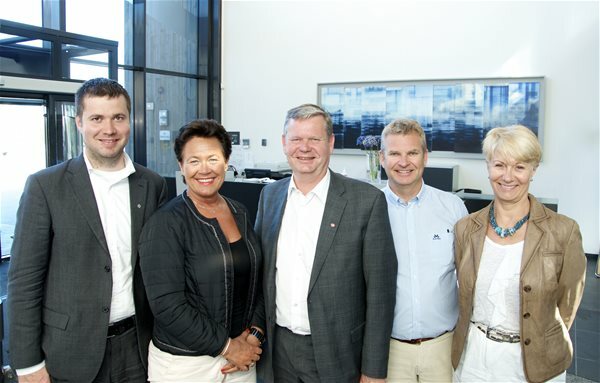 The meet with the committee was hosted by National Oilwell Varco in Kristiansand. Here, the politicians were given an opportunity to try a highly sophisticated simulator before they heard CEO Tor Henning Ramfjord’s presentation of NOV.
From left: Geir Pollestad is chair of The Standing Committee on Business and Industry, Ingunn Foss and Odd Omland are MPs from Vest-Agder, Tor Henning Ramfjord is CEO at National Oilwell Varco and Anne-Grete Ellingsen is Cluster Manager of NODE. 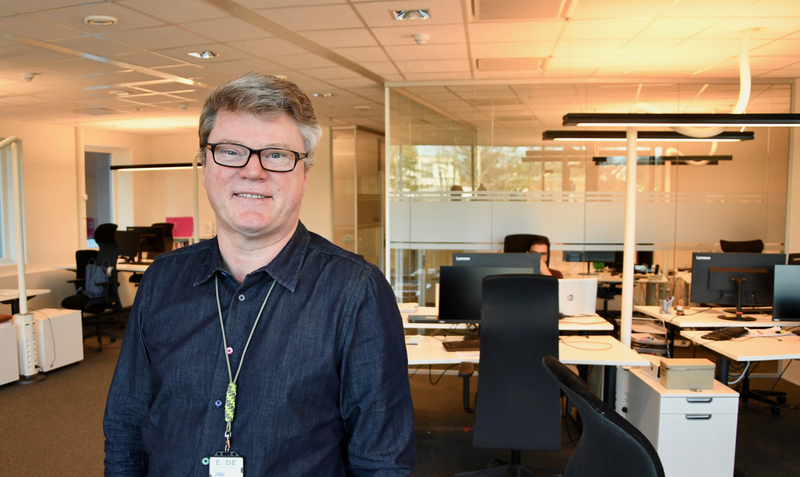 Afterwards, CEO Rune Fredriksen at Mandal Maskinering – a smaller NODE company – gave a presentation in which he talked about how his company interacts with several of the major NODE companies. 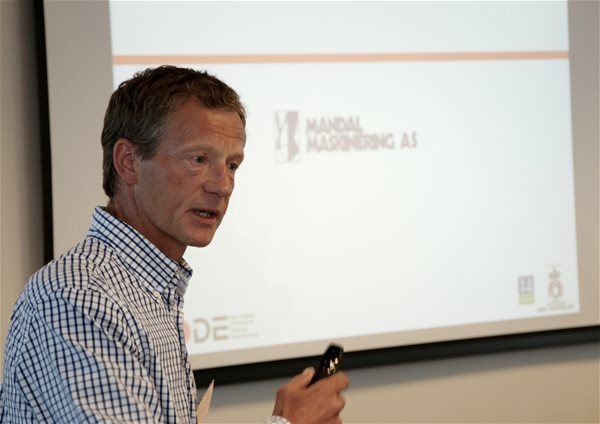 Rune Fredriksen, CEO at Mandal Maskinering. To finish the meeting, Kristiansand’s mayor Arvid Grundekjøn, stressed the importance of better infrastructure – in particular better roads westwards to Stavanger and eastwards to Oslo.